Director Guillermo del Toro ( Pan’s Labyrinth, Pacific Rim ) revealed at the Los Angeles Times Hero Complex Festival that he has sent the pilot episode script for Monster to HBO. 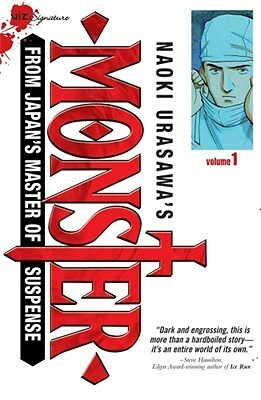 Del Toro has made it clear that the TV adaptation will follow the events of Naoki Urasawa’s thriller manga very closely; Urasawa only gave his permission for the show on the condition that he could review an outline of each episode of the first season, and no extra content, beyond the original 18-volume manga, will be added. The story of the manga follows Dr. Kenzo Tenma, a doctor who risks his reputation to save the life of a 12-year-old boy; however, this boy has now become an infamous sociopathic killer. After discovering the killer was his patient, Tenma goes on a worldwide search to stop him.